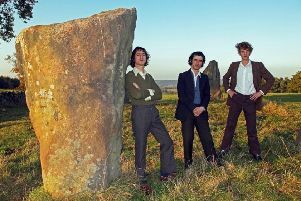 Head off to The Old Chapel in Alfriston on Friday February 1 for a life-affirming gig by The India Electric Co.
With support from singer songwriter Jack Cookson who is a recent BBC Folk Awards nominee, the music starts at 8pm and tickets cost £16.50. Cole Stacey and Joseph O’Keefe of The India Electric Co. have become firm favourites locally. Alongside their duo performances which have seen them playing at major festivals and undertaking tours of Australia, New Zealand, Scandinavia and Ireland, they have in the last few years been very much part of Midge Ure’s band and recently shared the stage with Human League.